Step 1: the first thing to do is download the app. For such purpose, you can get hold of it from Malavida by going to our HQ Trivia datasheet. 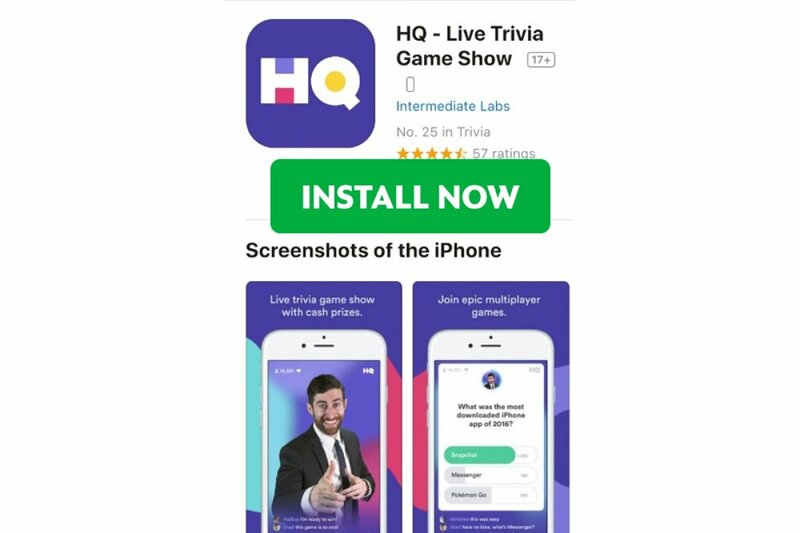 Once you tap on the green Download button, you’ll be redirected to the HQ - Live Trivia Game Show page on Apple’s App Store, and therefore, the store’s native application will open on your device. Another possibility is to go straight to the App Store yourself, just like you’d usually do if you wanted to download any other application. Just go there and search for it. Step 2: once you’ve found the app, just tap on the download or Get button. Now, just wait for the installation process to finish. Step 3: once the installation is over, you only have to open the application. You’ll see that you’ll need to sign up and register for the next contest that you want to take part in. You’ll also have to provide a valid PayPal account if you want to receive in your wallet the prize money in the case of being able to answer successfully the 10 questions asked. All in all, it’s a fun trivia game that’s based on a concept similar to a TV contest. A host presents the contest and asks a set of questions with different possible answers and whoever answers wrongly gets knocked out: only the contestants that answer correctly get onto the next stage and only those who answer all 10 questions will be rewarded with a prize.